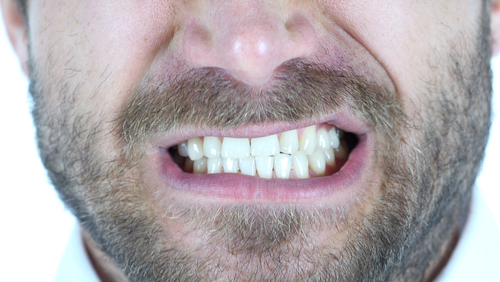 Bruxism is just a medical term for grinding or clenching your teeth, usually while you’re asleep. That’s what makes teeth grinding hazardous to your oral and overall health, because there’s a good chance you don’t even know you’re doing it! Our dental office in Boerne is here to help you learn more about bruxism and the damage it can do to your smile. We want to help you recognize the early warning signs of teeth grinding and help you protect your teeth from damage. Is there something not right about your smile? Are you concerned that you’re grinding your teeth? The best way to help yourself is to call our Boerne dental practice to schedule a consultation. We can give you a comprehensive, thorough exam, learn more about the symptoms you’ve been experiencing, monitor your bite, and get a more in-depth look using state-of-the-art x-rays. From there, we’ll be able to see what kind of shape your teeth are in, address the severity of your teeth grinding, and put together a personalized treatment plan for you. We want you and your smile to stay healthy and be pain-free! Previous Previous post: Healthy Foods. Healthy Smile. Healthy Body. Healthy Life.